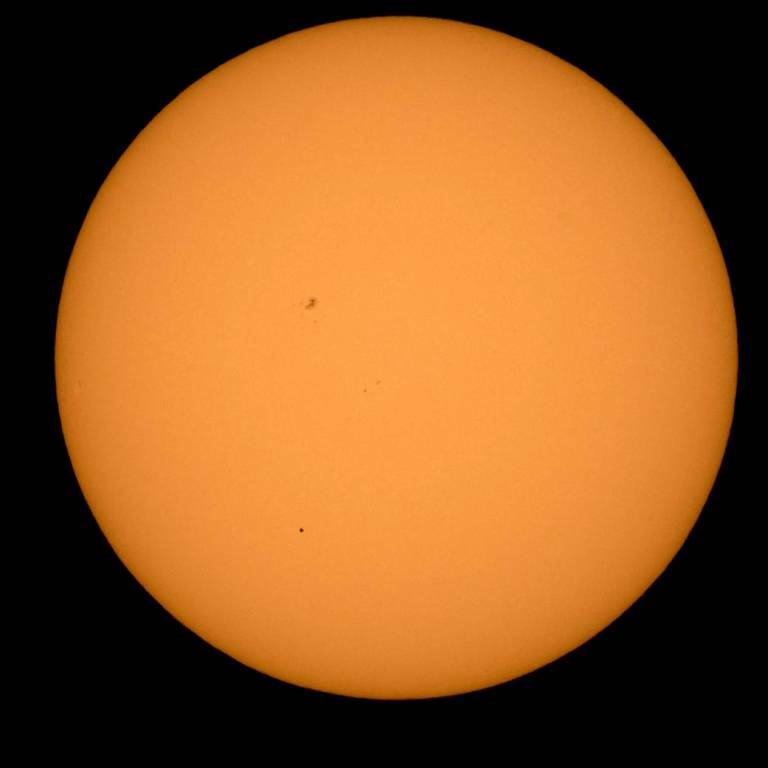 Mercury’s transit across the sun on Monday was not only a rare celestial event for skywatchers, but also an opportunity for scientists to observe the planet’s outer atmosphere or exosphere. The event was widely visible from most parts of the Earth including the Americas, the Atlantic and Pacific oceans, Europe, Africa and much of Asia. Beginning at 4:40 PM IST, a tiny black dot traced a downward slope across the sun’s disk. This is because the orbital plane of Mercury is inclined at an angle of seven degrees to the ecliptic (the orbital plane of the earth). During this transit, Andrew Potter of the National Solar Observatory attempted to understand the processes by which sodium atoms are released into Mercury’s atmosphere. He was assisted by Robert Lucas of Sydney, Evan Zucker of San Diego and Prof Bin Chen of the New Jersey Institute of Technology. In 1985, Andrew had first detected sodium in a faint exosphere around Mercury. In a live telecast of a panel conference on The Science Behind the Mercury Transit, Lika Guhathakarta, heliophysics programme scientist at NASA headquarters, revealed how the transit was being used to help NASA hone its instruments. The darkness of a planet provides an opportunity to study effects of scattered light within space instruments. “It’s like getting a cataract—you see stars or halos around bright light as though you are looking through a misty windshield. We have the same problems on (space) instruments,” said Dean Pesnell, project scientist of the Solar Dynamics Observatory. In earlier observations, scientists have also used the transits of the inner planets to gauge their distances from the Earth. Transits outside solar system are also used to hunt for worlds around other stars. Doug Hudgins, Exoplanet Exploration programme scientist at NASA headquarters, explains that a dip in the brightness of a star during a transit means there is a planet orbiting the star, allowing scientists to mark new solar systems. Mercury transits occur nearly 13 times in a century, either in May or November. May transits, also known as spring transits, are prettier—Mercury is closer to the Earth in its orbit, appearing bigger—but rarer as they happen only one-third of the time.